A French composer born December 18, 1948 in La Tour du Pin. With a diploma in art history, sociology and education sciences at Lyons University, James Giroudon studied music with Pierre Schaeffer and Guy Reibel at the Paris Conservatory. Committed to new technologies, he founded the Grame, a national centre for music creation, with Pierre-Alain Jaffrennou in Lyons in 1981 and was jointly in charge of its management and international development. It was with Jaffrennou that he also created, in 1992, the festival Musiques en Scènes, a multidisciplinary event and showcase for new tools for creation and computerised instrument making that has been biennial since 2002. Giroudon has written for the concert hall, the stage (Mots à maux, music theatre, 1986; Jumelles, opera, 1990), but has also composed large-scale music shows. He composes electro-acoustic music and co-operates in writing mixed works associating instrumental material with electronic sounds and layouts, notably with Jérôme Dorival (Double 1 for clarinet and tape, 1985), Alain Joule and Barre Philips (Brick on Brick for double bass, percussion and tape, 1989), and Annie Tasset (Traces, 1988 for soprano and tape). 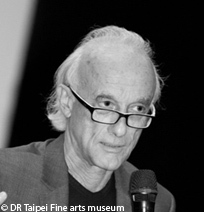 He has also written many works with the composer Jean-François Estager (Pierre d’ombre, 1991; La fabrique du jeu, 1996; Un peu partout dans le village de la terre, 2009, premiered in Taipei).